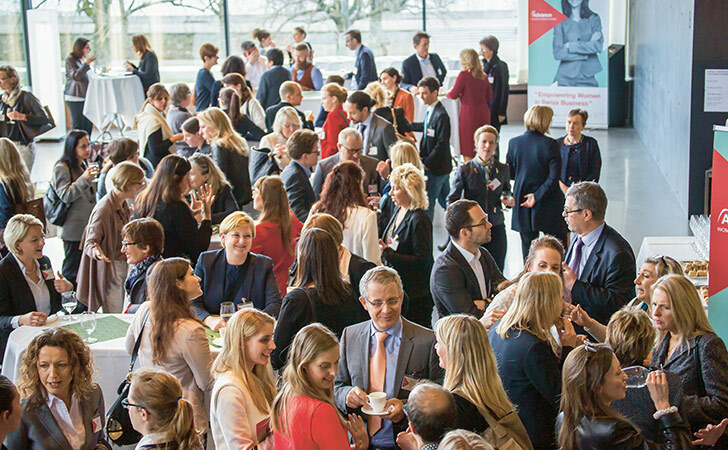 Our Centre for Global Dialogue near Zurich provided the stage for the 2016 Annual Conference of “Advance - Empowering Women in Swiss Business”. Under the heading of “The Future of Work”, the event focused on how to create attractive working conditions meeting women's expectations. Almost half of Swiss Re’s global workforce are women and we are steadily improving gender balance at management levels. To underline our commitment to reducing bias in talent decision-making, this year we integrated line manager training and tools into the recruiting process and across the talent life cycle. As part of our new employer brand positioning, we systematically apply D&I best practices, such as forming diverse hiring panels and using gender-sensitive language and visuals in all job advertisements. Externally, Swiss Re continues to contribute to the advancement of female talent in the communities in which we operate. One such partnership is with the association Advance – Empowering Women in Swiss Business, of which Swiss Re is a founding member. We hosted their 2016 Annual Conference at our Centre for Global Dialogue. It was devoted to “The Future of Work” and the role women play, making clear that companies must create progressive working conditions and cannot afford to ignore the expectations of women in the workplace. “Executive/senior management positions” comprises the management levels of Director/Senior Vice President upwards. “All management positions” refers to Vice President and above.